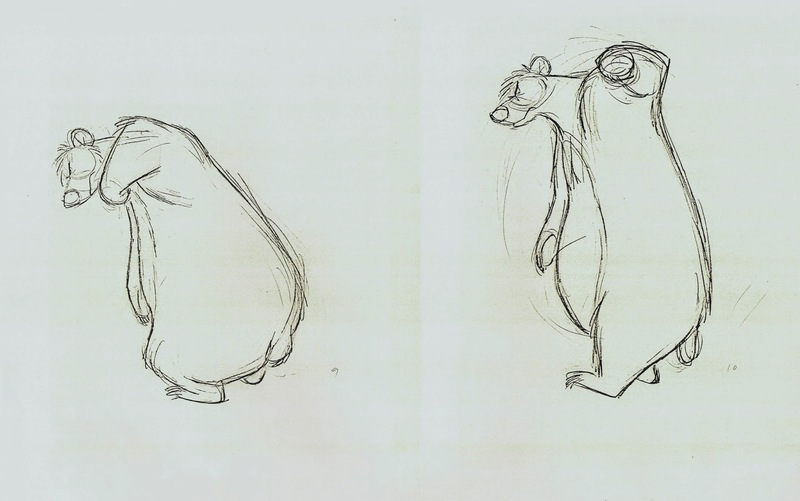 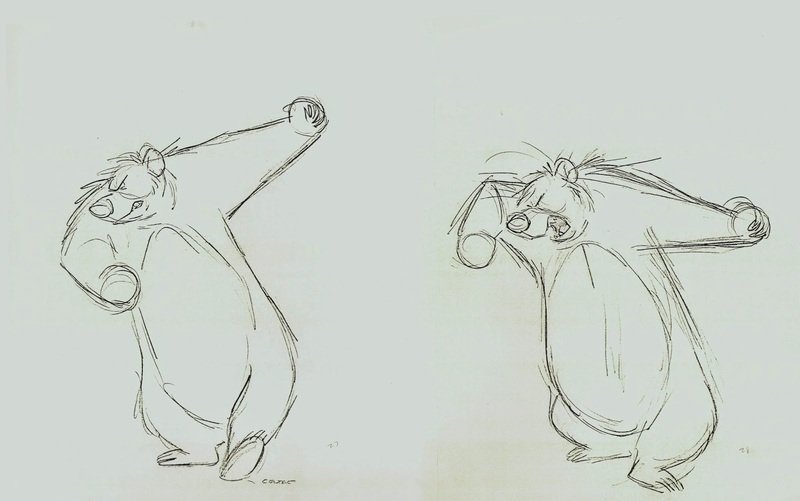 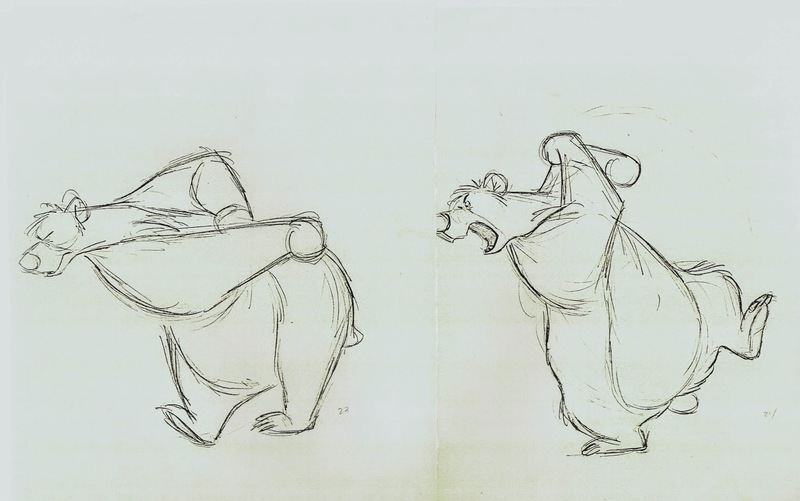 Milt Kahl only animated a handful of scenes with Baloo from The Jungle Book. 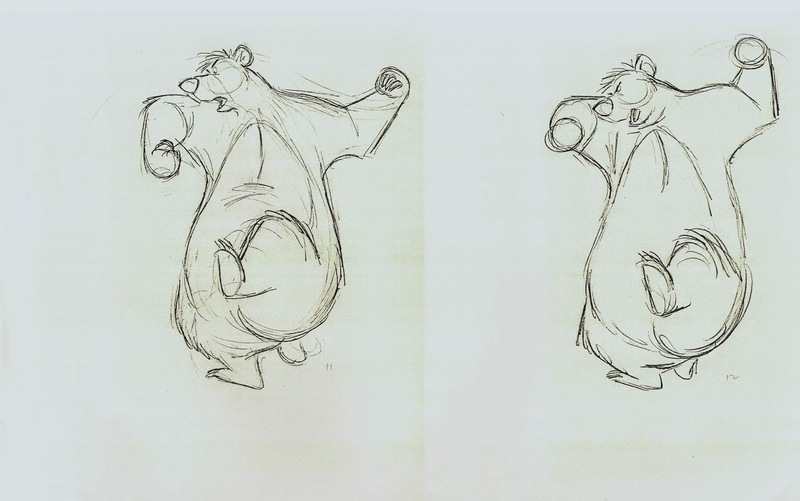 After King Louie’s monkeys kidnap Mowgli, they trip the bear who subsequently falls down a steep hillside. 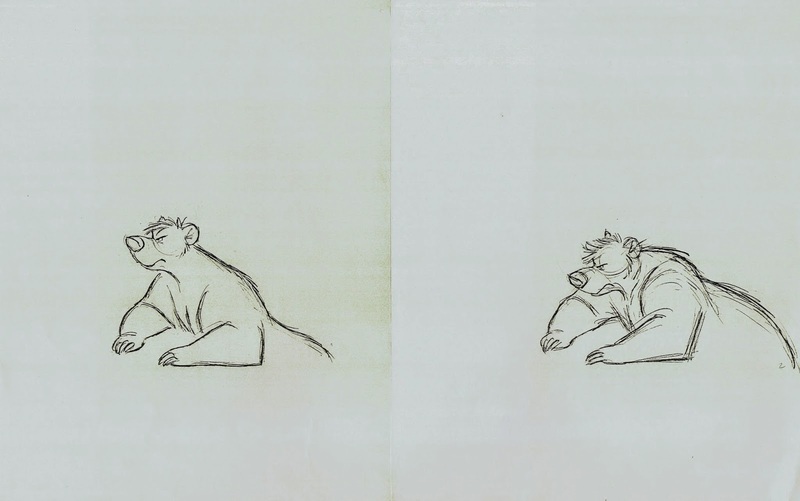 At this point the only thing he can do is to call for Bagheera. 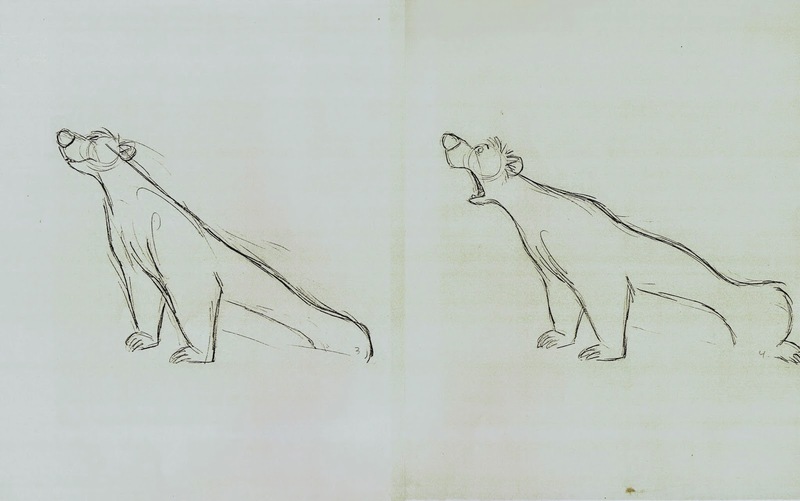 During the dialogue he gets on his feet and acts out the dramatic battle in order to convince Bagheera that he fought tooth and nail in an attempt to protect the boy. 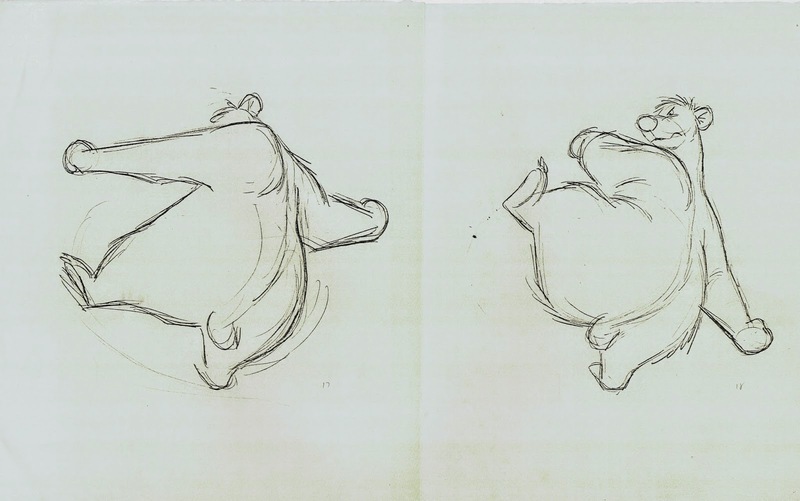 Milt drew a heavier Baloo than Ollie did. 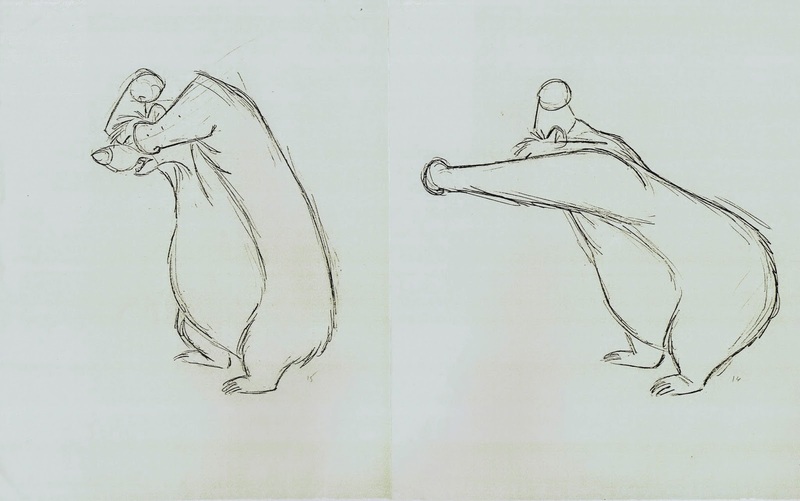 (Frank Thomas also drew him big with long arms). 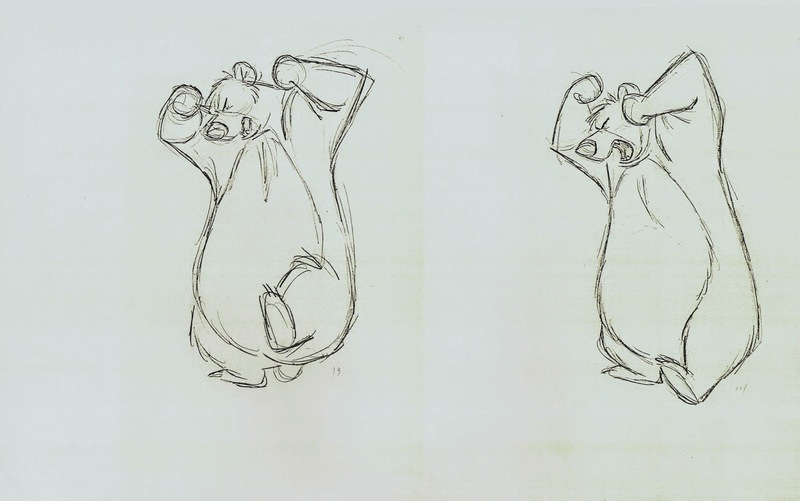 Dave Michener, who did assistant work for Milt on Jungle Book, gave me these copies of the scene’s key poses. 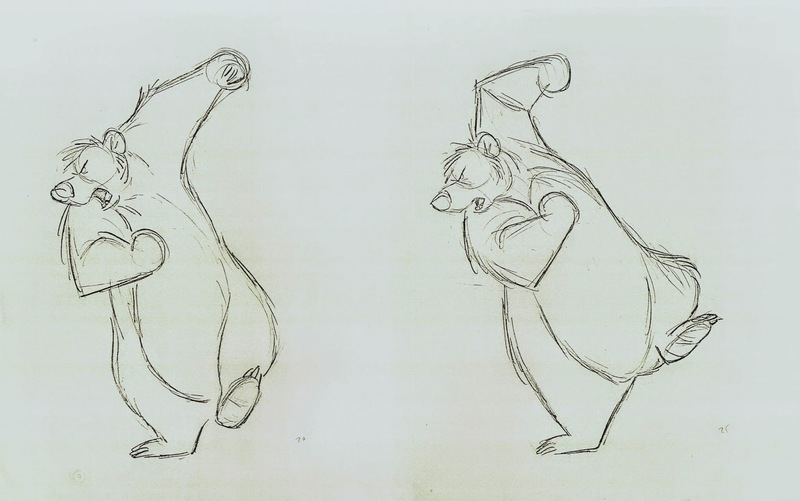 Dave had asked his boss how to interpret some of Baloo’s fists, since they were often just indicated as a circle without much definition. 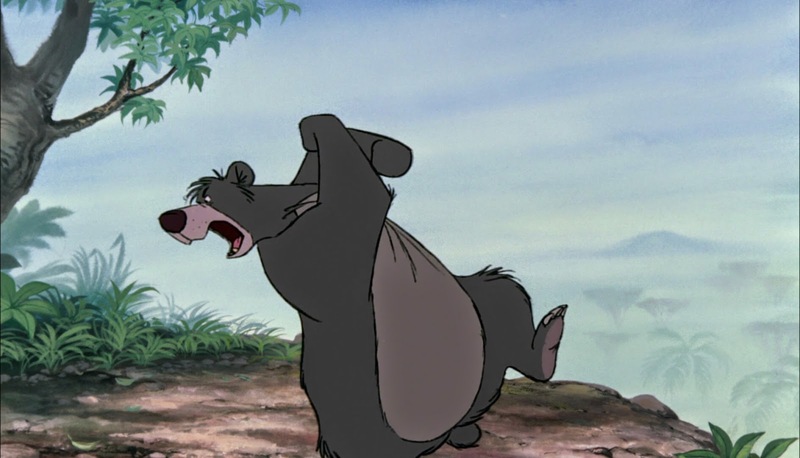 “You go figure it out!” Milt replied. 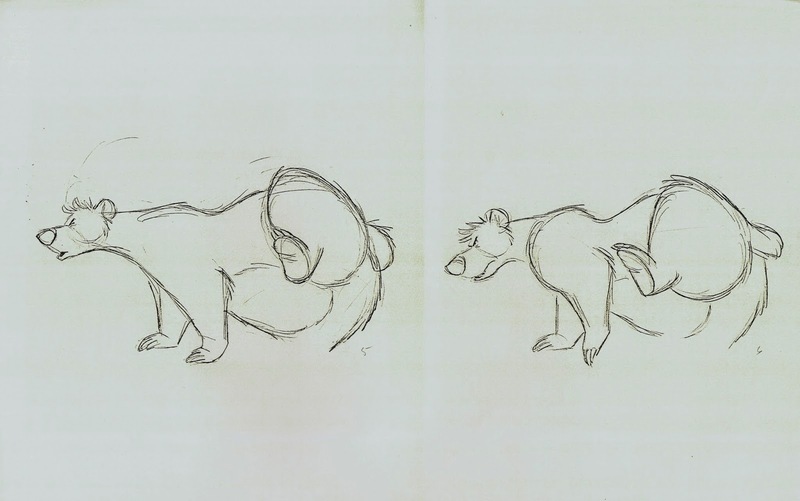 He didn’t feel like dealing with a minor drawing issue right then and there. 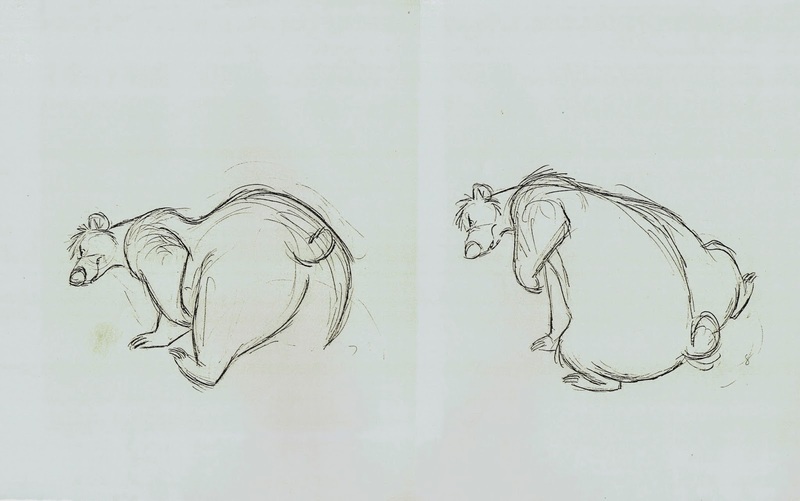 It really is a great scene. 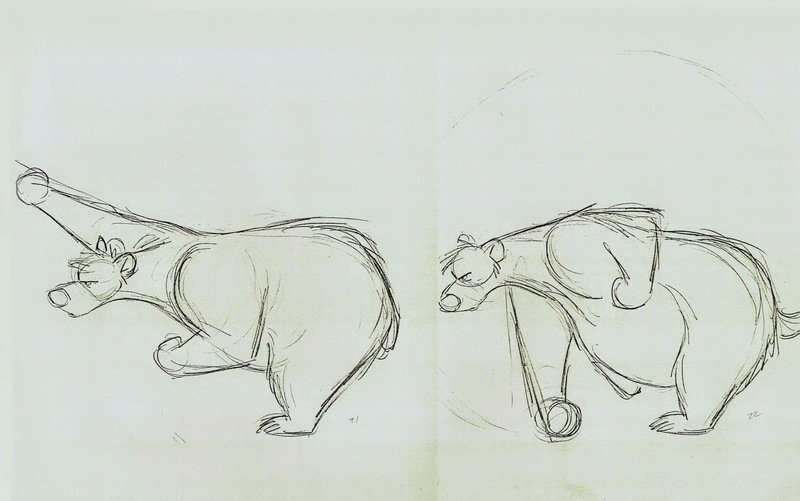 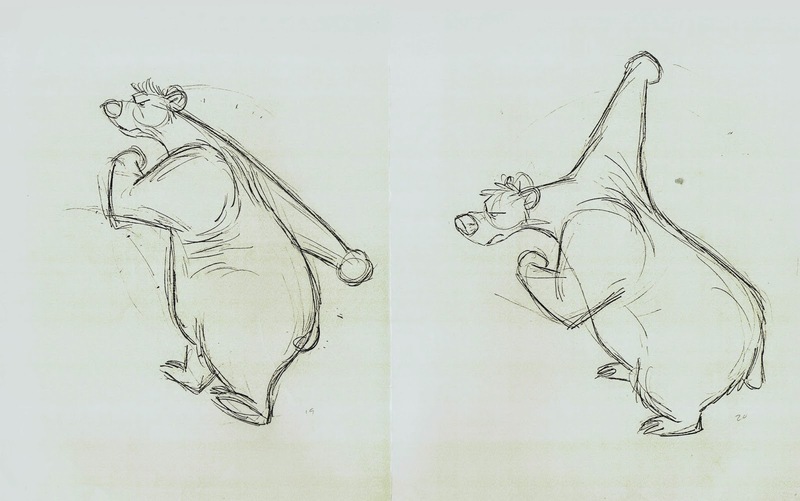 Baloo moves with a lot of weight, and his broad arm swings define real space.